Graeme and Julie Bristow, 3rd generation wildlife experts and consultants, moved to Mauritius in 2007 and with their combined skills created Safari Adventures, one of only three places in the entire world which provides an opportunity for people to interact with big cats and experience their behaviour up close and personally. 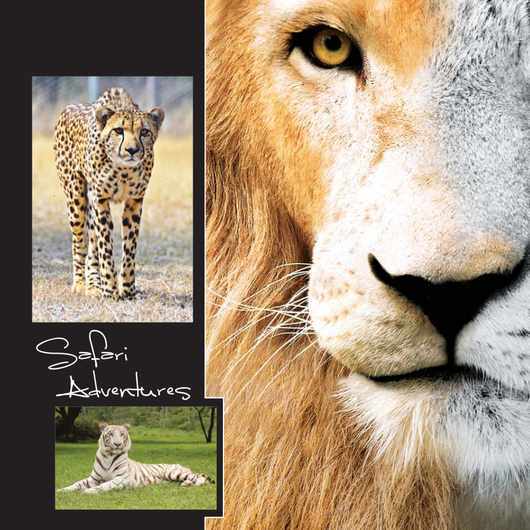 Safari Adventures is made up of a partnership between the Bristows of Zimbabwe and Casela World of Adventures Ltd. The Bristows have a background in wildlife with Graeme being descended from a line of wildlife enthusiasts. His grandfather, Carl, opened the Le Rhone private game park in Masvingo back in 1968, while his father, Vivian, continued the venture and has made many feature films, documentaries and commercials for numerous different countries and has travelled with his animals all over Africa to Kenya, Botswana, Namibia and South Africa. Graeme met his English wife Julie whilst she was working at Longleat Safari Park in Wiltshire in England. Graeme had taken elephants to the park and from there he persuaded Julie to travel to Zimbabwe where they married and settled together. The love the family has for animals is now in its fourth generation. We aim to create a captive breeding group of lions, cheetah and tigers, so that we may educate people about these majestic mammals, we hope to be successful in breeding cheetah and tigers as these two are endangered animals. The cheetah can be taken on educational trips around the island to expand people's knowledge of the animal and its current plight. Lions are of course well known to most people from early childhood as the "King of the Jungle", yet for many they also inspire fear. We hope to show people that, when treated with the proper care and respect, lions, tigers and cheetah are wonderful creatures that they should be happy to share the earth with. In the future we hope to bring other large African mammals to our Mauritian facility and further increase the public awareness and appreciation of these animals. Graeme Bristow has extensive experience in the movie industry, working alongside units such as BBC Bristol Wildlife, Australia TV, Canon Productions, John Downer Productions and Bollywood to name a few. Some movies on which Graeme Bristow has worked include Lion Spy in the Den, King Solomon’s Mines, The Gods Must be Crazy (1 and 2), Sherlock Holmes and the Incident of Victoria Falls, A far Off Place and Pride. The Bollywood hit called Himwatala is Safari Adventures' latest feature film. Safari Adventures offers the movie industry the chance to film our animals in documentaries, short films, feature films, advertisements and more. For any more of these events, feel free to contact us for more info.